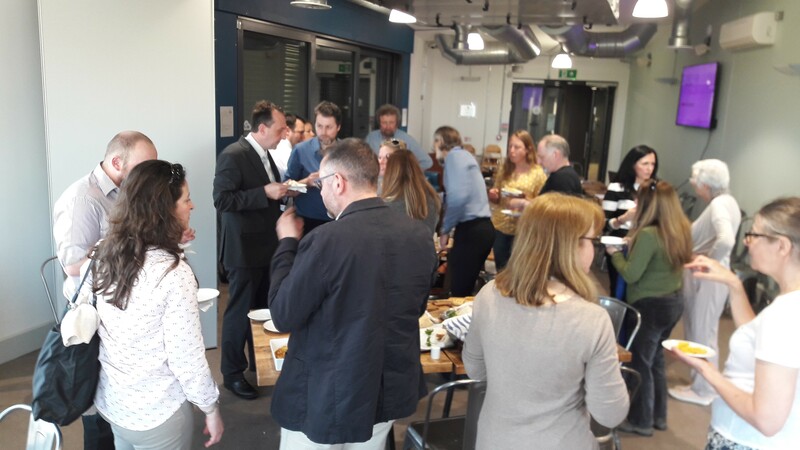 Shona Hatton, Associate Director, was pleased to be invited to present Influence’s role within the development of the site, to the architecture team of Simons Design, on a beautiful summer’s afternoon in August. 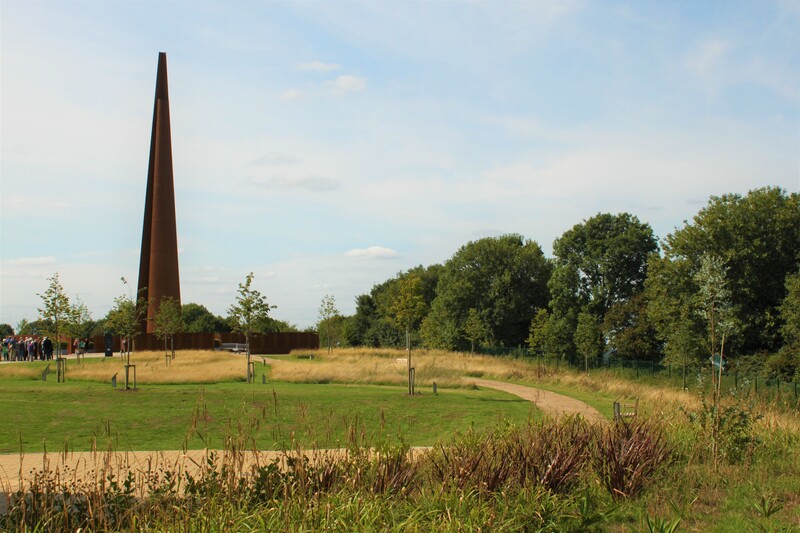 Influence was proud to be appointed and to lead the landscape planning and landscape design for the International Bomber Command Centre Memorial Spire and gardens as part of the Place Architecture team, combining these roles with that of the management of various environmental grants for the gardens, phase 2 walls, and building/exhibition fit out. Influence’s role commenced in early 2014 and was completed in early 2018. Shona began her presentation by explaining the reasons for the client selecting the site and describing the various elements of the design, the Spire, Walls of Names, Chadwick Centre and Peace Gardens. Her presentation then elaborated on our landscape specific roles, setting the context for the landscape planning dilemma, a Landscape and Visual Impact Assessment for a Spire designed to be seen within, but not impact upon the local character of the Lincolnshire landscape. Our role involved consultations with Historic England and historic and landscape views were assessed. In total 17 viewpoint locations were used to help assess the impact the Spire would have on the landscape and the iconic Lincoln Cathedral. A series of images explained the process of evaluating a viewpoint from a photo, to wireframe of the Spire, through to photomontage and the final view in reality. She then moved on to explain that Influence’s landscape design role consisted of two phases. Phase One – The Lincolnshire Peace Garden, completed in April 2016 and Phase Two – the completion of The International Peace Garden for the official opening in April 2018. The design concept, from competition to completion, was described as representative of a crew’s mission and the first graphics produced were shown. The concept has held strong throughout the project – ‘Approach, Assemble, Interpret, Fly, Reflect, Return, Remember’. 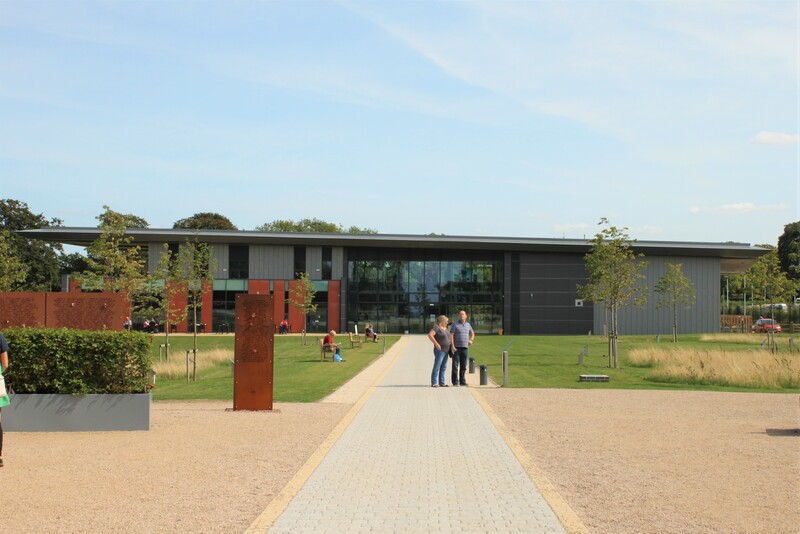 Within the Lincolnshire Peace Garden the prominent Chadwick Centre (named in memory of Roy Chadwick designer of the Lancaster Bomber) holds exhibitions including digital archive material and an interactive audio and visual experience named the ‘Orchestra of Voices’. 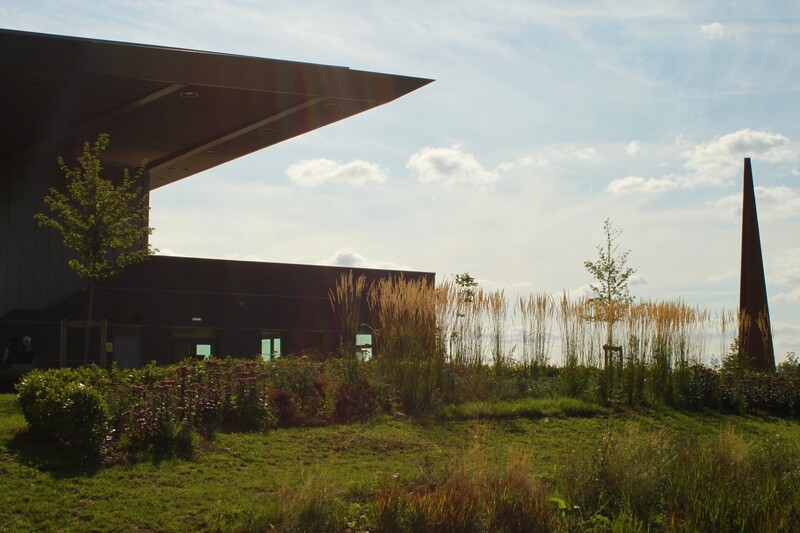 The landscape surrounding the building consists of a web of pathways with routes radiating from the Spire circle and alongside meadows, with each pathway connecting a series of places for rest and contemplation where the natural landscape becomes the dominant feature defining the spaces. The International Peace Garden planting was described as representative of the five continents and 62 nations that supported Bomber Command with planting designed to be native from the continents. Within the garden a peace sculpture symbolic of remembrance was produced by the Masons of Lincoln Cathedral. Shona concluded her presentation with her personal reflections on the design journey and the importance of the place to so many who loved and lost men and women who are now memorialised forever in this very special place. It is hoped that as the landscape matures over time, the International Bomber Command Centre flourishes and more and more people appreciate the part played by servicemen and women during the conflict.